Rhetoric: postive, negative, or both? Calling speech “rhetoric” nowadays is often viewed as an insult, rather than as a compliment. Especially in relation to politics, “rhetoric” is used almost exclusively as a negative term. On this week’s edition of “That’s What They Say,” Professor of English at the University of Michigan, Anne Curzan, and host Rina Miller discuss the confusion with the word “rhetoric” in public discourse. According to Curzan, the historical definition of rhetoric is “the art of using language effectively in order to persuade others.” Rhetoric is viewed today as positive in some circles. It’s an art form for those who can speak well, and persuade others with conviction. However, more and more this former art has been viewed in a more negative light. “By the 17th century, we start to see some use where people are using ‘rhetoric’ to talk about sort of overblown speech, speech that is big words, but maybe not backed up...from there it gets more and more negative, and I think now you’ll hear people use it to talk about words that seem empty to them. It’s just rhetoric," explains Curzan. Curzan explains that once words transition over to the dark side, it’s difficult to bring them back into a positive light. So there’s a duality to using the word “rhetoric.” Your most hated politician can spew rhetoric that makes you insane. But on the other hand, your professor can be a rhetorical ninja, fighting arguments with eloquent prose and articulation. When thinking of “rhetoric,” make sure to consider this word’s dark and light side. Marked nouns: a hit at gender equality? On this week’s edition of “That’s What They Say,” host Rina Miller and Professor of English at the University of Michigan Anne Curzan discuss the irksome “ess” added to the end of nouns to indicate a female in words like authoress, actress and governess. These “ess” words are ubiquitous in the English language. But do we really need them? And does the distinction in fact diminish the word’s meaning? This practice in linguistics is called markedness. “Markedness is about an asymmetry in, for example, a pair of words where one is a more neutral term - the dominant term, and one is marked somehow - it’s specialized,” says Anne Curzan. Examples include authoress versus the unmarked author, or actor versus actress. In these examples, there’s arguably no difference between the marked and neutral term beside the "ess" added to indicate the noun is female. However, as Curzan explains, history has had a pejoration of the marked word due to sexism in the past. The issue when pronouncing historical, however, is that the stress has moved to the second syllable. This makes for a lighter-sounding “h,” and can change the article of the word. How many syllables are in the word 'interesting'? It’s very interesting to consider some people add an extra syllable to certain words when speaking. On this week’s edition of “That’s What They Say,” host Rina Miller and University of Michigan Professor Anne Curzan discuss how this difference in pronunciation is fairly new - linguistically speaking. The word "interesting" is pronounced today with either three or four syllables. Anne Curzan explains the four syllable pronunciation, which often annoys the three-syllable camp, is actually the more traditional pronunciation. “If you look in the online Oxford English Dictionary…it only has a four syllable pronunciation. If you look in modern standard dictionaries from the last ten years, they will show multiple pronunciations, three and four syllables," says Curzan. The process of losing a syllable is not rare in the English language. Don’t get too flattered if an admirer calls you unique. In today’s spoken language unique doesn’t mean one of a kind at all. On this week’s edition of “That’s What They Say,” host Rina Miller and University of Michigan Professor Anne Curzan discuss the semantic changes that strengthen or weaken the meaning of words. Anne Curzan points out the strength of unique has weakened over time so that one object can be more unique than another. “For most of its history in English unique has meant one of a kind, or having no peer...if you listen to actual usage, you’ll hear people say that something is more unique than something else, or really unique…at this point for a lot of speakers, unique means unusual," says Curzan. The word unique is not unique in the weakening of its definition over time. Curzan explains that the word “quell” has also undergone significant semantic change. Dust kittens, woofinpoofs or frog hair? 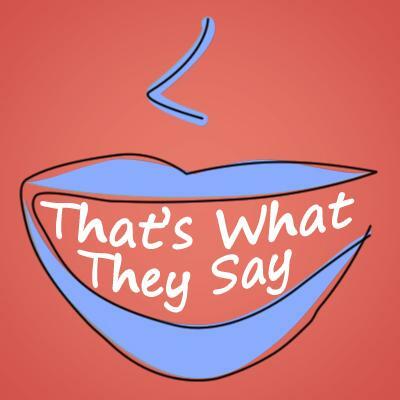 On this week’s edition of “That’s What They Say,” host Rina Miller and University of Michigan Professor Anne Curzan revisit regional variations in spoken English and offer up even more fun and often puzzling expressions. “For people who are from parts of New York or New Jersey, they will stand on line rather than in line...and for the people who say that makes no sense, the answer is that prepositions don’t always make sense and this is just regional variation," says Curzan. Another expression that may not make sense to most of us is: drinking a cabinet. “If you’re from Rhode Island you can drink a cabinet…in Rhode Island, a cabinet is a milkshake," Curzan explains. Okay, so what to you call those balls of dust hiding underneath the bed? Dust bunnies or woofinpoofs? The Dictionary of American Regional English (DARE) has documented over 170 different variations for those balls of lint. And, some variations take on hilarious names.